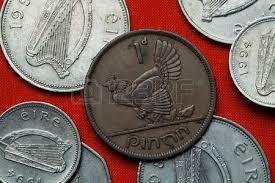 Penny Stock oil disseminates news, press releases, and opinions on stocks with a focus on the penny stock market. Up-to-the-minute news and alerts can be found on our site and disseminated through our alert newsletters and press releases. Whether you are a veteran trader or just starting out into the exciting realm of trading stocks, our news releases and alerts can give you a critical edge in your investing prowess. As with all fast moving markets, penny stocks often times require prompt and up-to-date information to base sound investing decisions. It is our goal to disseminate information that is not only valuable to the individual investor, but accurate as well. Please take a minute to check out our site along with our track record of how stocks have performed that we have issued previously covered in our alerts. Below, you may sign-up to receive our official press releases as well as our newsletter alerts directly to your email. Doing so will give you an invaluable edge in making quick informative decisions on stocks that have breaking news and are demonstrating break-out potential! With the continuous protest in the Middle East, Crude Oil stocks has been very volatile and recently made a 2-.50 year high of $103.41 a barrel on NYMEX. 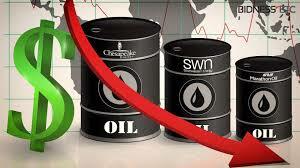 While Brent Crude reached as much as $120. Oil retreats from high after Saudi Arabia and OPEC came forward and promised to compensate losses from Libya’s Supply disruption. Libya supplied 1.6 million barrels of oil a day in January, and counting OPEC’s ninth-largest producer. It ships most of its crude and fuels to Europe. However, several analysts bet that the quality of Libya is high and it would be very tough to supply the matching quality from other countries. There are estimation that about 885K barrel has been disrupted from Libya. The European Union yesterday imposed an arms embargo and other sanctions on Libya while the U.S. said it froze $30 billion in the country’s assets. Leader Muammar Qaddafi declared that “my people love me” and sent forces to regain territory lost to rebellions outside Tripoli. Riots from Morocco to Bahrain have already toppled leaders in Tunisia and Egypt and protests have erupted in Yemen, to the south of Saudi Arabia, the world’s biggest oil producer. The most recent being Oman, the largest Middle Eastern producer outside OPEC, where several protesters united in Soar for a third night yesterday, demanding the government to take steps on their demands for more jobs, higher pay and more representative political institutions. So far, Two people were killed, several wounded and a supermarket was fired during the protests. Oman supplied as much as 885,600 barrels of oil a day in January, according to data reported by the state-run Oman News Agency. Iran pumped 3.7 million barrels a day in the latest month, according to estimates compiled by Bloomberg, making it OPEC’s second-biggest producer following Saudi Arabia. Protesters are planning to hold a demonstration today after leaders Mehdi Kariba and Mir-Hossein Mousavi were transferred to a Tehran prison, according to the opposition Kaleme website. Today as per Egyptian newspaper Al Masry Al Youm, eyewitnesses in Bahrain said that around 30 tanks were transported into Bahrain from Saudi Arabia. Today Crude Oil is trading higher by 1% to $98 a barrel. There are other avenues available for individuals inquisitive about stocks and that’s the internet stock trading companies. Plenty of of those companies permit any person to enroll and buy and trade their own shares. This could be a good way for someone to be exposed to the universe of stocks and with a certain amount of research and practice they can make themselves a profit. When investing in stock market, for beginners there is a great deal to learn but with discipline you can obtain the knowledge you require to be successful. It has been a long journey for the Indian stock market before finally settling down in the lap of stability and maturity. Investment opportunities in the equities and derivatives market have never been so lucrative. Thriving on the electronic technologies, the Indian stock market now boasts of numerous online stock trading grounds. This is where share stock exchange takes place now; this is the integration platform for share trading brokers and investment banks. But does online trading ring a bell of alarm for you? Are you worried about online thefts? Give those alarms and worries a back seat and make the best use of these online trading platforms as they are integrated with technically enhanced security systems. The Indian stock market is now running on a high and so are the investors. Not a single moment is wasted in the share stock world and to make the best of every minute, the online sites serve you with up-to-the-minute updates. It tells you how the shares and stocks are faring in the market, the latest stock market tips and all that you would want to know about the Indian stock market. The progress that Indian stock market has witnessed in the recent decades is a guarantee that more investors are likely to step in the arena and reap benefits from the ripe stocks India market. However, the share stock play is not for the novices. It takes a lot of experience, knowledge and insight to take the right decision and this cannot be done without taking in account the vital BSE stock statistics and NSE share stock play in the last few months. Before allocating significant portion of your assets in the Indian stock market, ensure that you are well aware of the play of stocks in India in the recent times. 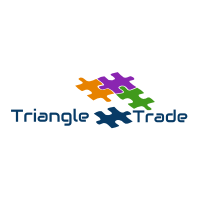 You may follow tailor made stock market tips provided by market experts. Caution is the buzzword! If you plan to invest in BSE penny stocks, gather as much relevant information as you can about the companies listed in the related bourse. BSE stocks in India can fetch you profits only when the buying and selling decisions you take are backed with circumspectly figured plans and strategies. The returns will be directly proportionate to the amount you invested in the BSE stock market. To fare well in the share stock world, catch live stocks India portals and check out the live charts showcasing BSE stock views to reap profits. Here are a few stock market tips for you. Always be active in the market even if you are not investing. When it comes to investment in share stock market, rely on diversification and do not invest wholly into one share or stock. Diversify your investments as it minimizes the risk of losing. 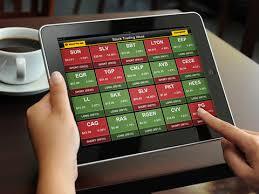 You can also depend more on day trading in the NSE or BSE stock market. Short term, day trading can help you direct your moves on a daily basis.